I’m still in slight catch up with these updates but this post will bring me back up to date. I aim to be a lot better but with work in full flow and spare time being taken up with the worlds longest spring clean ever plus Little Z things I’m finding I keep falling behind. We were still in Mauritius over these weeks and I think its the best type of holiday ever for a pregnant lady. Sit about in the sun all day reading books and building sandcastles and then eat your entire body weight in the various themed buffets they have every single night. Even the fruit is delicious so I found myself being pretty good, a tiny of the bit of the time. I think I kept balancing it out with a fair amount of pancakes and omelettes. I was a creature of habit and would queue up dutifully each day for my omelette with tomatoes, chillies, peppers and red onions and the egg cooking lady would greet me with a massive smile and a few more questions about myself. Where was I from? How far gone in the pregnancy was I? Did I know what I was having? I could see by her tag she was called Priscilla and she was genuinely lovely. We talked about England and where she was from. She herself had two grown up kids and was evidently an absolute whizz when it came to cooking eggs of every variety. One particular night I nearly stopped in my tracks as I saw her out of a cooks uniform for the first time eating at the hotel restaurant with her family. She looked like she’d stepped right out of the 1920’s. Hair in a short slick, slightly wavy, bob. Swishy dress and a swishy walk to match. I’d not seen anyone dress like that in a very long time, if ever. On my last day in the hotel she gave me a huge blessing right there in the omelette queue and told me she prayed I would be a fantastic mother to the new baby a second time round and she wished me a safe labour and future. I clutched my plate and almost bawled. With other people waiting for their eggs it obviously was not the best time to get weepy and I really didn’t want this to the first time I departed from a hotel in tears. I could do little more than smile and thank her. Other staff then followed suit and all wished me well with the rest of the pregnancy. The sun did wonders for all my achey bones and I’d regularly sit in the sun to make the pain better. It’s been a lot calmer since although I did feel a bit of it returning as soon as I started driving when I was back. So I think I know what aggravates it at least. Following a physio appointment I now have exercises and some advice on how to keep the pain under control. It turns out I have a slight rotated hip, which makes me sound a bit like a faulty robot. Knowing what it is at least makes it all a bit bearable and the physio explained the period of intense pain I had was around the time when I’d have had a surge in the hormone Relaxin which loosens ligaments as part of pregnancy. Joy! So here’s hoping it all stays calm and doesn’t really back with any great intensity. I had made a mental note about starting to get ready for the new baby once we came back from holiday. Well, we’re back and I don’t quite know where to start. I’ve had a mini panic about it and have dragged the Other half into some major spring cleaning. I know its all nesting but I think I am THE worlds WORST nester, ever! I have no vision of how to organise more space and only a vague inkling of how I want things arranged. I also don’t want anyone but me to decide it so its not going too well right now and we still look like we’ve been burgled upstairs. I *think* its coming together but its not as quick as I thought it would be. The best news ever is that the baby is kicking regularly now and is especially enjoying booting my insides between 10pm and 2am every single night. I hope this isn’t a sign of its post birth routine but its very reassuring to know its being very active. Little Z is loving asking the bump whether it had a good day and has will give the bump a very sweet little pat as he passes. I think he may be coming round to idea that either gender will be fun and nice to play with. He spent most of the time at a recent wedding entertaining a little cute one year old baby and was enjoying it so much he didn’t notice that the sweet table had been opened for the kids to go nuts! 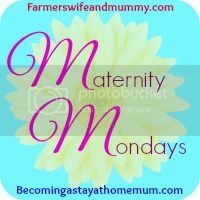 This entry was posted in Pregnancy and tagged aches, cravings, hormonal, making space for new baby, Nesting, pains, pgp, pregnancy diary, pregnant, SPD, weeks 21 and 22. Bookmark the permalink. That’s so lovely about the lady in the hotel! Glad the pain has eased a bit now and great news that the baby is kicking regularly! Good luck with the organisation, you’ll get there in the end. Thanks 🙂 I hope so. It’s all going really rather slowly at the moment. 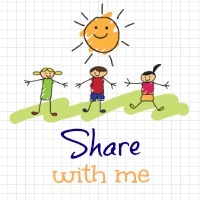 Kiran recently posted…Should I stop my children fighting with each other? Wow, beautiful. Sounds like just what you needed! Oh, the kicking. That’s the bit I miss most about being pregnant. I remember spending hours in the bath watching the little feet pat-pat-pat on my belly. It seems so long ago now though. I didn’t feel the need to prepare as much for our littlest. I think you come to realise that as long as they have a bed and a healthy supply of nappies and wipes, all will be well. Tarana Khan recently posted…12 things moms of boys don’t want to hear (again)! Stephs Two Girls recently posted…Is it easier to just stay in? The holiday in Mauritius sounds like the perfect solution to pregnancy aches and pains and how lovely of the lady in the hotel to give you a blessing before you left. I love that little Z asks the bump about its day – how cute! What a fantastic holiday! It sounds blissful and what a lovely cook! I also went a bit nuts with the nesting. I hate cleaning and I remember finding myself scrubbing the corners of the room with an (old) toothbrush at one point! Aww the holiday sounds just what the doctor ordered and I really like the idea of the omelettes. The lady sounds so lovely. Michelle (@AFamilyChatter) recently posted…The Best Things In Life Are Free.